There’s still time to become a sponsor of Party for Life or to buy tickets to this very special evening, which honors Vera Bradley’s Barbara Bradley Baekgaard with the Chuck Yancy Lifetime Achievement Award, and raises money in support of Gift for Life’s long-standing commitment to HIV/AIDS prevention, treatment, and education. Sponsorships range from $500 through $25,000. As a sponsor, you will be joining a growing list of your industry colleagues – Blue Q, Dallas Market Center, DEMDACO, Emerald Expositions, Fieldstone Marketing, HomArt, J Douglas, Knock Knock and Vera Bradley, among others – and you will be recognized in the Party for Life program. Individual tickets to attend the event can also be purchased for $125. For sponsorship or ticket details, click here or contact Steven Williams of DIFFA at swilliams@diffa.org, 212-727-3100. 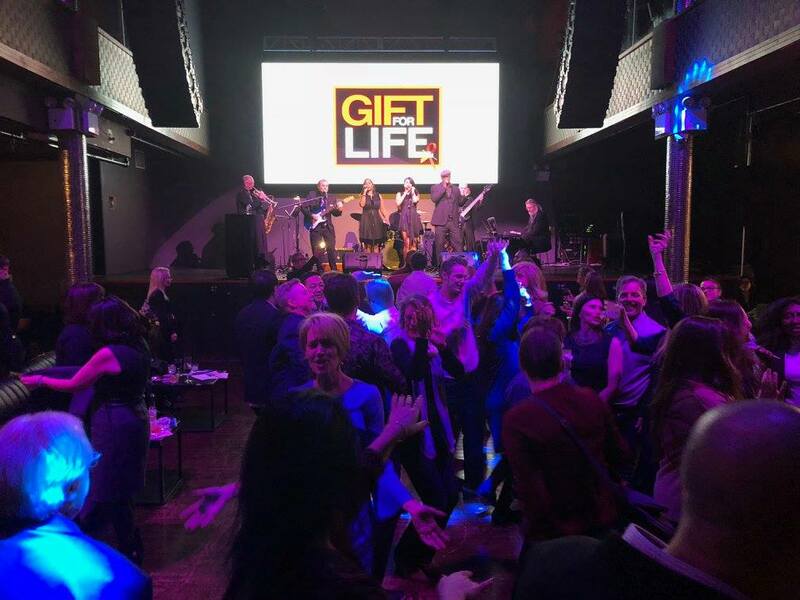 Gift for Life’s 27th annual Party for Life will be held on Monday, February 4, from 6:30-10 pm, at Stage 48 in New York City, during the NY NOW tradeshow. This event includes a wonderful evening of fun, food and a chance to bid on exciting travel packages and fabulous gift and home auction items. There will be an open bar, dinner buffet, music and dancing. Do you have wanderlust and a desire to visit exotic places? 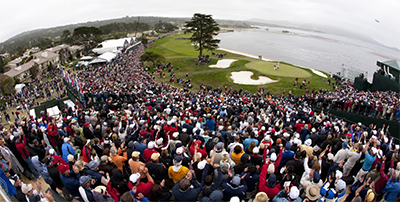 Have you always dreamed of watching the U.S. Open Golf Tournament at the famed Pebble Beach Golf Course and rubbing elbows with other golf fans in the Trophy Club pavilion? Now’s your chance to bid on – and maybe win – one of five great travel packages being auctioned off in support of Gift for Life. Also up for bids is a nice selection of other goodies, ranging from unique pink-soled cowboy boots to distinctive home décor, and from fashion jewelry to trendy apparel. “We hope to raise at least $10,000 through auctioning of these travel packages, other wonderful experiential prizes, and a wide range of gift and home products, that are available for bidding,” said George Kacic, Gift for Life Chair. 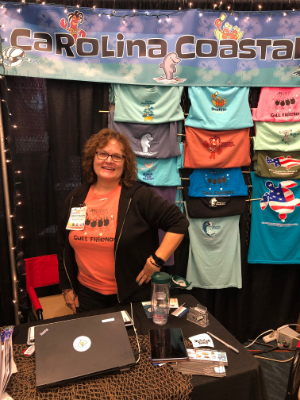 The online auction link is open and accepting bids on the travel packages to Belize, Italy, Napa, Key West, and Pebble Beach, as well as on many wonderful home décor items, fashion accessories, jewelry and gifts. Click here to register and let your bidding begin! Texi Boots are just one of the fashion items in the auction. The NY NOW® Cares Campaign, launched by Emerald Expositions’ NY NOW® as a way to create more community among its attendees and industry charitable causes, raised more than $900 for two of Gift for Life’s partners during November and December. For each qualified registration submitted via a special online link for the winter edition of NY NOW, Feb. 3-6, 2019, NY NOW® donated $1 to one of two organizations. During November, a total of $418 was raised for Feeding America through Gift for Life’s LIFELINE initiative. Feeding America is a domestic hunger-relief organization. The Feeding America network of food banks has risen to meet the needs of 46 million people at risk of hunger, including 12 million children and 7 million seniors. DIFFA: Design Industries Foundation Fighting AIDS was the beneficiary of $498 from registrations during December. DIFFA’s grant program funds HIV/AIDS organizations and groups providing treatment, care and education to those living with HIV/AIDS. 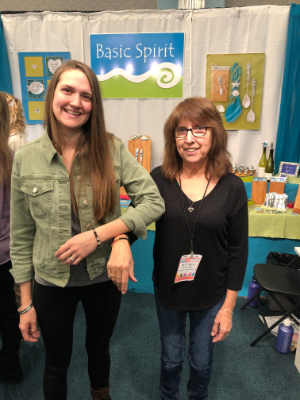 Laura Janelle, a fashion accessories brand known especially for its Boho Chic and Mantra lines, is partnering with Gift for Life in a new cause marketing initiative. Beginning with the winter 2019 Atlanta International Gift & Home Furnishings Market, Laura Janelle is introducing a new scarf in its Mantra line that “sends a positive message of motivation and empowerment.” The scarf incorporates a graphic of a red ribbon symbolizing the fight against HIV/AIDS and the inspirational words “Faith, Hope, Love.” The proceeds from the sales of these scarves will benefit Gift for Life’s partner, DIFFA, The Design Industries Foundation Fighting AIDS. Why Do You Support Gift for Life? “We have been proud to support Gift for Life for many reasons. It’s good to support an organization so connected to our industry and touching lives so intimately. 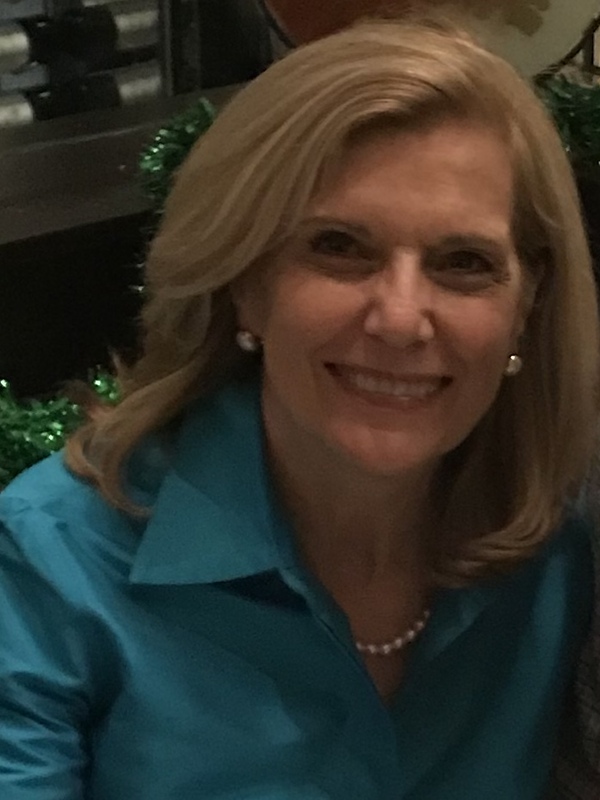 This year, it has been especially rewarding to help give light to an industry leader and lifelong philanthropist, Barbara Bradley Baekgaard. Fieldstone started working with Barb and the Vera Bradley brand in 2000. Through our twenty-year partnership, we have watched Barbara take a leading role in how to grow a business while giving back at all times. From its headquarters in New York City this past December, DIFFA: Design Industries Foundation Fighting AIDS (DIFFA) granted $285,000 to 26 organizations nationwide providing treatment, direct care, and prevention education services to individuals living with HIV/AIDS. With more than 1.1 million people living with HIV in the United States today, and hundreds of new diagnoses each year, services from local organizations and community groups are critical to the fight to end HIV/AIDS. The 2018 DIFFA National Grantees serve critical areas and target populations including homeless individuals, the LGBT community, youth ages 13-24, people of color, elders, and incarcerated populations. The organizations offer a range of services to fight stigma, work on prevention and education, and offer nutrition, counseling and job preparedness services. 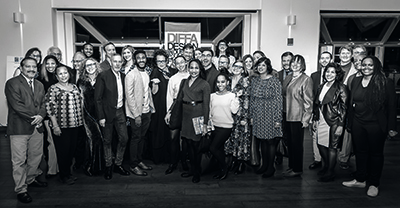 DIFFA, which is comprised of the national headquarters and local chapters including Chicago, Dallas, San Francisco, and Northwest, has granted a total of one million dollars in funding this year. The organization is a top funder of HIV care and education in the country, granting more than $44 million to date. 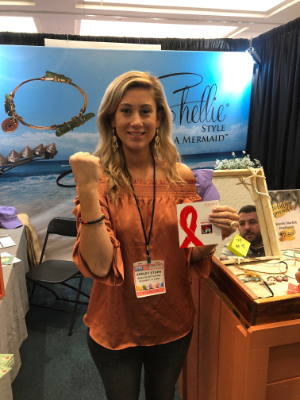 During the set-up day for the Grand Strand Gift & Resort Merchandise Show, which also coincided with World AIDS Day, show manager Clarion UX and Gift for Life cause marketing partnerChavez for Charity teamed up to raise awareness and support for Gift for Life and its mission. The first 250 exhibitors who picked up their badges received a bracelet donated by Chavez for Charity, which has raised more than $100,000 for Gift for Life through the sales of its bracelets. The show provided the perfect opportunity to educate exhibitors not familiar with Gift for life and encourage them to get involved. 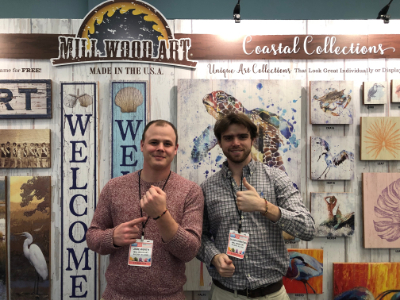 Among those exhibitors receiving bracelets were Ashley Etgen with Shellie Style Inc., Patty Mills and an associate with Basic Spirit, Becky Pezzoni with Carolina Coastal Critters, and Jade Werth and Glenn Christian at Mill Wood Art. Ashley Etgen with Shellie Style Inc. Patients with AIDS have an increased risk of suffering from cancer according to a study published by Nature Communications. The study found that because patients with AIDS have fewer T-cells in their bodies, they had an increased risk of developing non-AIDS-defining cancers. The researchers found that exosomes, which are derived from HIV-1-infected T-cells, are active in altering the growth and spread of cancer cells. “In other words, the cancer grows faster and more aggressively in patients with HIV,” said Ge Jin, associate professor Case Western Reserve’s School of Dental Medicine, and the study’s author and www.principal investigator. Click here to read more.